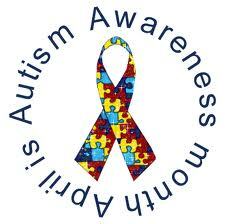 National Autism Month – Help us Raise Awareness! April is National Autism Awareness month, and the Universal Life Church Monastery needs your help to raise awareness of this very important cause. To help raise awareness of this issue, we have started a month-long Facebook campaign to donate to the National Autism Association. We invite you to visit our Facebook Page – and to please share this page with your friends so we can help this issue reach a larger audience. As part of our awareness campaign, we’ll be donating $1 to the National Autism Association for every “Like” we receive on Facebook before May 20th, up to a total of $1,000 – so if you haven’t already done so, please visit our Facebook page and click the “Like” button. You can also help by sharing the page with your friends so we can help this issue reach a larger audience. That’s all you need to do, so spread the word! Time is of the essence; if our goal can be reached before the end of April, the organization Mayer-Johnson will match the ULC’s donation dollar for dollar, thus doubling it to raise $2,000 for this important cause! Otherwise, the deadline for the campaign is set for May 20th, so if you haven’t yet done so, visit our Facebook page, and just below the main banner click the “Like” button. The scientific understanding of autism is revealing that it is a complex, bio-neurological and treatable disorder that presents itself during the first three years of a person’s life. It targets brain function, affecting communication skills, the ability to interact socially, and is often accompanied by other disorders such as asthma and epilepsy. One in every eighty-eight children will be diagnosed with autism, and boys are four times more likely to be so than girls. These individuals deserve our understanding and compassion. Donations to the National Autism Association can help provide services for families of autistic children as well as fund research. Their mission is to respond to the most urgent needs in the community, and provide real help and hope so all can reach their full potentials. They are a parent-led non-profit organization and have conducted important work since 2003. The Universal Life Church Monastery wants to raise awareness of this issue and we encourage you, in addition to helping out with the Facebook campaign, to donate directly to the cause. For more information on autism, and to learn how to donate and become involved, please visit the National Autism Association at http://www.nationalautismassociation.org/.